I started my paid culinary life creating recipes for a steam oven. So imagine my delight to find out there was a steaming device that came with the Thermomix. I quickly converted a lot of my existing recipes to the Varoma. I was in love. Cheesecake with even texture, soups with steamed veggies over the top. Stuffed chicken rolls steamed to tender juicy perfection, pork belly, yes, fragrant pork belly steamed before hitting the high heat of a grill to get the crackling organized. Roast lamb…not kidding. All of these amazing dishes with fantastic results using one of the most ancient cooking methods we know of. Apparently steaming is a gentler kind of cooking, and actually will preserve flavour, nutrients and of course moisture in your foods, as well as being very conservative on energy. Don’t underestimate using the Varoma to create amazing steamed meat dishes. I love a main meal salad that utilises steamed chicken or pork. I suggest marinating the meat of choice for a few hours prior to steaming. Try and have the meat in equal sized portions prior to steaming, and line the tray or dish with wet baking paper as this saves on clean up later. I also have a fantastic bolognaise sauce on my website that steams the minced beef over the sauce, thus preserving texture and increasing the volume capacity. You add the fully cooked beef to the sauce when ready to serve. Meatballs will all benefit from being partially steamed, either over the sauce they are going to be served with, or over water, prior to being finished off in a hot oven. The steaming will help them keep their shape…so think about it…rissoles, skinless sausages. All easier thanks to the Varoma. As the self proclaimed Queen of Desserts, I love using the Varoma for so many of my dessert recipes. Many versions of my steamed cheesecake are out there. The texture is smooth, creamy, no cracks through the middle and so easy to recreate those perfect results. And do I need to mention Sticky Date Pudding? Surely not. Or Christmas pudding? Or self saucing puddings? I’m stopping now. I mention noodles because the most traditional method for making Fresh Rice Noodles is steaming over a very large wok on an open flame. No need to go to that trouble. Use your Varoma. The very simplest method ever. It almost goes without saying…but I’m going to say it anyway. The Varoma is ideal for veggie steaming. Of all kinds. If you are keen to make a potato bake, it is always wise to pre-steam your potatoes in the Varoma first. I steam my potatoes for mash in the Varoma prior to letting them dry a little, then mashing them in the TM bowl with all the usual suspects; cream, butter, cheese, herbs etc. Think beyond just the usual. You can pre-steam an eggplant, or pumpkin, or sweet potato, stuff them, and finish them off in the oven to get that caramelized taste we all love. Think outside the steam! OK. This is Varoma Therapy at it’s finest. Fish is so wonderful when perfectly steamed. I simply wrap fish fillets or mixed seafood in foil or baking paper that has had flavoured butters, herbs, lemon slices, seasoning added and steam away. You can even layer up with the fish parcels and cook rice in the simmering basket as you steam the fish. Add a salad and a glass of white. Dinner is served. In probably around 15-20 minutes. That easy. Last but not least, the results you can get from partially steaming a baguette before transferring it to the hottest oven possible are amazing. Chewy golden glossy crust, all because of a bit of steam. Then there are all the Asian dim sum style ‘bread ‘options you can create. Think Pork Buns, dumplings of all kinds. 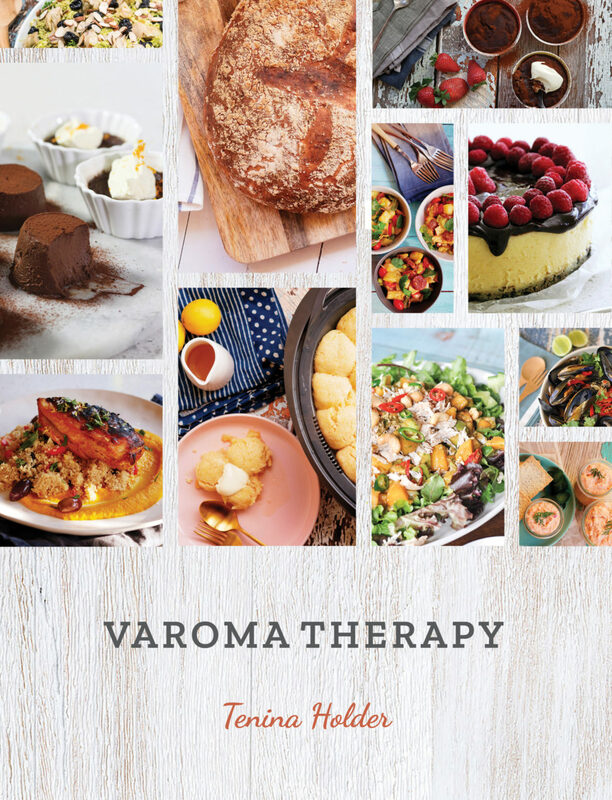 And lest I leave you hanging, of course I have recently brought out my Varoma Therapy cookbook, available now as either an ebook (Free to Insiders) or a print book. GO GET IT and become your own Varoma Therapist. So get your Varoma out of the cupboard, dust it off and start steaming your kitchen up. It is a versatile addition to your cooking arsenal, as well as offering the perfect way to increase the yield to feed the hungry hoardes that no doubt live at your place as well as mine. Varoma Therapy. We all need it. How Chocolate Makes you Calmer, and More Creative! Should I or Shouldn't I upgrade to the new Thermomix 6 model? Green Smoothie School. No Recipe Required! My Top Seven meal hacks for busy families to save you time and money! 8 Christmas Dishes You Can't Do Without. Drop Smart Kitchen Scale and ME! A new Partnership! Grazing Tables; The How To Article. My Top Ten Favourite Ingredients I always have in my available in my pantry. Three Smoothies That are Better Than Dessert! Meringue Tips; Or The Secret to Fluff! Matcha Madness; 5 Reasons Why Everyone is going Mad for Matcha! NEW ebook: Top 25 Ice Cream Recipes and more! My new Christmix mini ebook. Merry Christmix One and Merry Christmix Too...the printed books! 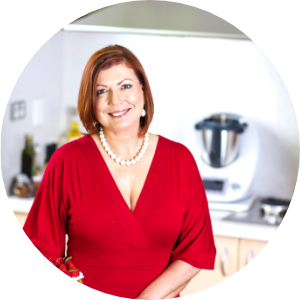 Ebook: Merry Christmix Too, the new and biggest thermomix ebook from ME to YOU! Thermomix Ebook: What's for Breakfast? The New Ebook - What's For Breakfast?